Putrajaya Holdings Sdn Bhd and its subsidiaries (“we” or “us” or “our”) are currently taking an exercise to comply with the Personal Data Protection Act 2010 (“the Act”). The Act was passed by the Malaysian government to regulate the processing of personal data in a commercial transaction. To comply with the Act, we are required to manage the personal data that we collect from you during the course of our business. “Personal Data” means information about you which may be subject to applicable data protection, privacy and other similar laws and may include but not limited to information concerning your name, date of birth, identity card number, passport number, address, gender, race, nationality, contact information, e-mail address, references, residential or postal addresses, your employer’s name, address, telephone or fax number, your previous addresses and preferred mode of communication, any previous names you may have used or aliases, religion, account details, credit card details, bank name and other pertinent banking information, tax file identification number, EPF number, and any other information about you that has been or may be collected, stored, used and processes by us from time to time. In the course of your dealings with us, we will request that you provide data and information about your Personal Data to enable us to enter into commercial transaction with you or to deliver the necessary notices, services and/or properties in connection with our business. These are relevant in connection with our business process, execution, including delivery of notices, services and/or properties client relationship management, planning purposes in connection with future properties launches and events including promotional events within our projects. for the compliance with any law, legal obligation and administrative of justice. any documents (including but not limited to statutory forms and returns) that were submitted to us for processing. Inquiries in respect of your Personal Data. The third parties are also held legally responsible for securing your Personal Data at an appropriate level of security in relation to applicable data protection laws and widely accepted industry standards. Your Personal Data will be stored and processed in a secured manner. The appropriate administrative and security safeguards, policies and procedures will be implemented, as far as practicable, in accordance to the applicable laws and regulations. We will, as far as practicable, aim to prevent any unauthorized and/or unlawful processing of, and the accidental loss, destruction or damage to your Personal Data. Except otherwise permitted or required by applicable law or regulatory requirements, we will retain your Personal Data as long as it is necessary for the fulfillment of the purposes for which the Personal Data was collected or is required to satisfy legal regulatory, accounting requirements or to protect our company’s interest. In accordance to Section 7(3) Personal Data Protection Act 2010, this Policy is issued in both Bahasa Malaysia and English languages. In the event of any inconsistency, the English language version of this Policy shall prevail. This Personal Data and Privacy Notice is dated 15 February 2014 and is subject to amendments from time to time. We will notify you should there be any material change(s) to this notice. 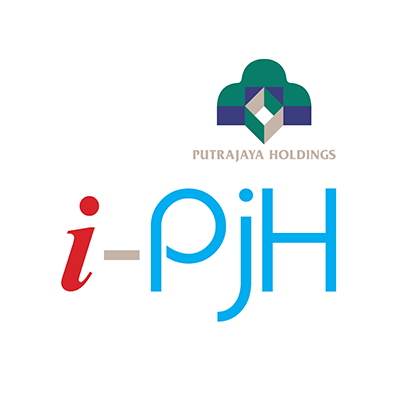 Copyright© 2019 PUTRAJAYA HOLDINGS SDN BHD (364152K) and its group of companies (PUTRAJAYA). All Right Reserved.